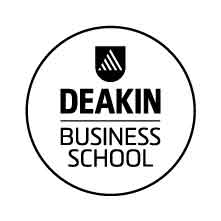 The Deakin Business School (DBS) encompasses a range of business disciplines including accounting, economics, finance, information systems, business analytics, management and marketing. DBS prepares graduates for careers of the future utilising emerging technologies to facilitate innovative, borderless, and personalised education. Courses emphasize practical work experience and the application of theory to real scenarios. DBS provides flexible education offering students a huge choice in time, pace, place, content, and learning styles.